The Ephrata Area Merchants Association‘s Fifties Family Fun Night was, well, fun! There was a lot going on, tons of people, and many activities. I want to congratulate the winners of the adult and kids hula hoop contests! Everyone who came up and gave hooping a shot was great. I do want to thank the Ephrata Area Merchants Association for having me there. It was great getting exposure and for having me perform. Thank you as well to Uncle Funky’s Thrift Shop in downtown Ephrata for helping me put together my outfit, and for Michelle at Details Hair Design in Ephrata for giving me a spiffy ’50’s updo. I also want to thank my husband, Sam, for manning the hoop table and taking my picture. Thanks, honey! I’ll be at this wonderful event sponsored by the Ephrata Merchants Association. 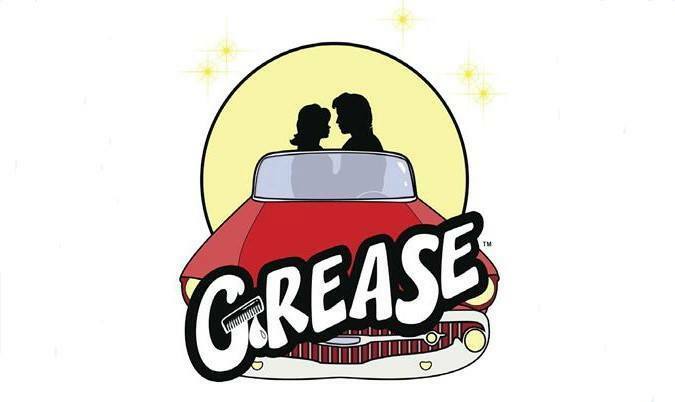 Save the Date Friday July 17th for the Ephrata Family Fun Night with Grease movie and sing-a-long and 50’s Theme Tickets for the Movie are $5! More details coming soon! The Ephrata Area Talent Show has come and gone. I had a great time performing! Pictures and video will be forthcoming. What I did for the show was a simple hoop dance done to “I Want You Back” by the Jackson 5. It’s a great upbeat song that both kids and parents would know. I want to thank all who came out to the show. All of your applause and cheers at the end made me feel great! I hope I put a smile on your face, too. 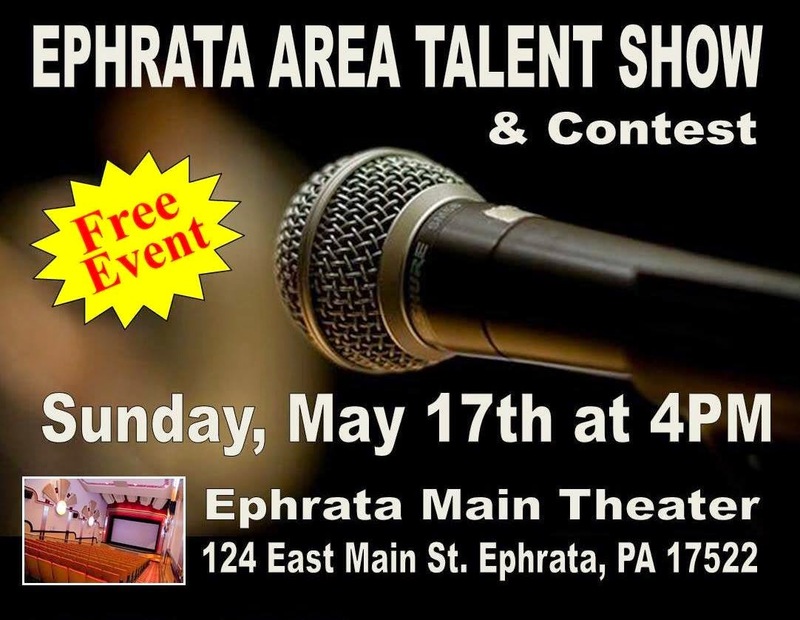 Just as a reminder that the Ephrata Area Talent Show is coming up on May 17, 2015. I’m very excited! See the above graphic for details. Leave me a comment if you have any other questions about the show. 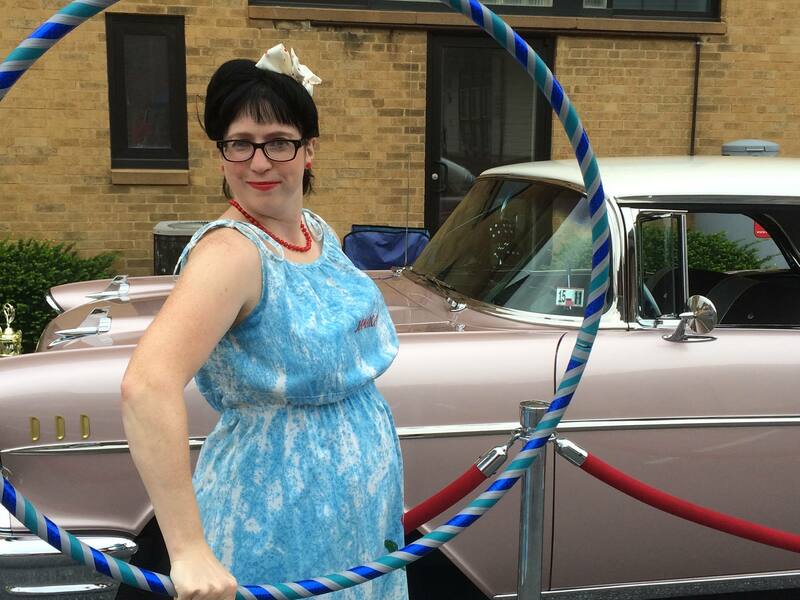 See Jenn hoop at a free and family-friendly event! Keep an eye out here for more details. Be sure to mark your calendars!